So 3 weeks have passed very quickly. The time has come for the second chemo. Now I know what to expect from all the medication and how my body reacts to the treatment. The tumor has dissolved, I can’t feel it anymore in my breast. Well, lets hope that this is a good sign and that the therapy is taking the right direction. I have been a bit week over the last 10 days – got a strong cold with some fever. Got also some other things organised : like a wig. For the last few years I have always had a short haircut. The wig is supplied with medium long hair and I decided to keep it as log as possible. As I have the next half a year with no own hair, I want to try different hair does with the wig. I can change the hair length a little bit. A good friend of mine is a hairdresser and is happy to help me to find an ideal wig style. I am trying to carry on with my life as usual. Only the bad cold was quite a set back. I hope that within the next one or two weeks I’ll be back to my strength and energy. And I am looking forward to go walking our dog Strubbel. 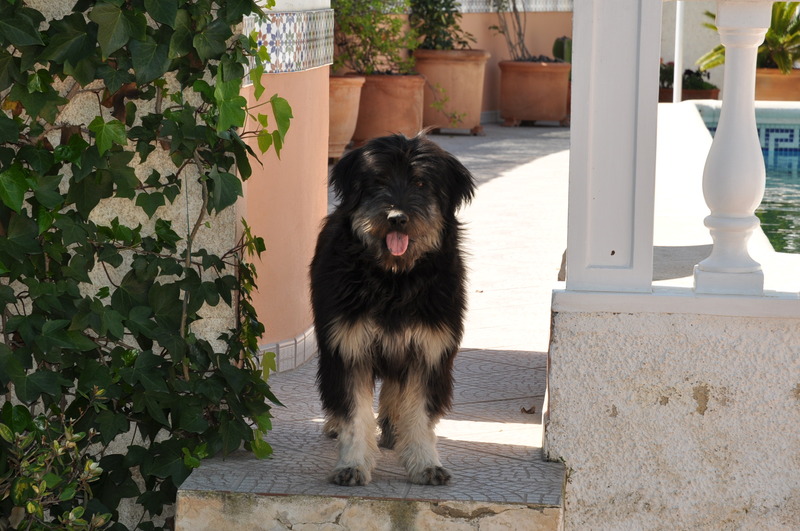 He is a cute catalan sheepdog just over a year old and very lively. He likes to learn new things and is always happy to run around. I have some patchwork projects on my mind that I want to realize. Just convert the ideas into action with my hands so that everybody can see the results. First I have to make pictures of my last projects. I like to document what I make – a series of cushion covers for our living room and a wall protection curtain next to the dog bed. Next time I let my thoughts flow I hopefully have my second chemo already behind me – this would be one third done !! !